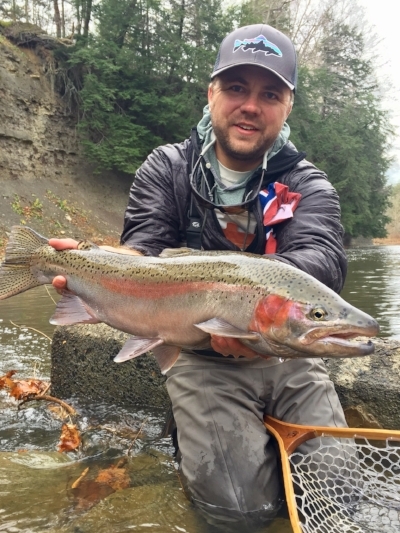 Fall is here - as the days get shorter and temperatures drop, things start to kick into gear on the Great Lakes steelhead front. Come by the shop on Wednesday from 6-8pm for a presentation by District Angling travel and product expert and Steelhead Alley native, Brett McCrae, on upping your steelhead game. We'll be serving Rust Belt staples - Buffalo wings and brews from Great Lakes Brewing. Space is limited, so arrive early and have fun.